Fresh back from the Wilderness Gathering 2012 and can say that we had an absolutely fantastic time. Nicola and I arrived Thursday afternoon and set up the stand. We had a minor set back with a pole that snapped, but some para cord soon put that right. We made a couple of modifications; the sides were turned down and we put a pole in the middle to give a little extra height as the ground sloped away from the car. But it worked and I think we’ll use it again. Shortly after we were joined by one of our regular customers, Stefano, who as a vintage attendee of various festivals loved the gathering from start to finish. We met some great people at the event and would like to say thanks to everyone who dropped by for a chat, it really is a friendly event. Certainly we hope to see you all again. 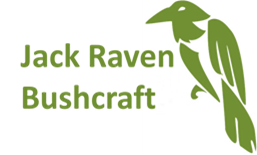 We were especially pleased that some of the established names in bushcraft took the time to come and say hello. Our neighbours were great company over the weekend, Bushcraft Tools one one side (we bought 2 of their fire pistons – they’re excellent) and the Scouts on the other; the Scouts did a necessary, if somewhat unglamorous job, on ‘bog squad’ very well. The entertainment (and cider tent) in the evenings proved a great opportunity to mingle and talk with people, so we took full opportunity of that. So, all in all a great location, great people and the sun came out! We certainly hope to repeat it all next year!